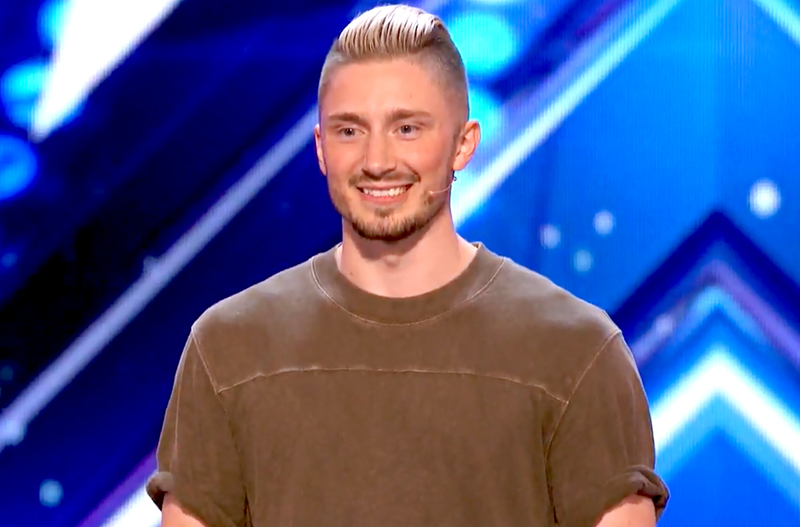 America’s Got Talent contestant Tom London performed a pretty mind-blowing trick that combined a lot of math with a little bit of magic during his audition on the Tuesday, June 20, episode of the NBC talent competition. In the clip, which debuted on The Huffington Post, the 25-year-old revealed that his dad inspired him to pursue a career in magic, and he hopes to eventually have his own show in Las Vegas. “It’s always been my dream to create the best magic show that Vegas has ever seen that people would travel from around the world to go see,” he said. London declared on the show that he was going to wow the judges with “something that has never been done before.” He started by asking the audience members to hold up their phones, which all started to ring and light up in different colors. He then asked judge Simon Cowell to choose three people whose phones had turned red to join him. Once on stage, London had the volunteers give their best guesses to different questions, including how many No. 1-selling artists Cowell has had on his record label, how many millions of records judge Mel B. sold worldwide with the Spice Girls and what year judge Heidi Klum started modeling. Watch the clip above to see why that number left the judges and audience members stunned!